For several years, refrigerators have relied mostly on chlorofluorocarbon (CFC) refrigerants, which were chosen due to its low toxicity and stability. However, it was later discovered that CFC’s posed a serious threat to the earth’s ozone layer. For this reason, the Montreal Protocol moved to phase out the use of CFC’s and replace them with more environmentally sound alternatives. As of January 2014, the manufacture of R-22 was reduced by 19%, with an expected complete phase out by 2020. This poses a problem for businesses that still owned regulated refrigerants that were produced prior to the movement. For business owners or technicians using equipment that run on R-12 or R-22, a smooth transition must be made to help maintain day-to-day operations, reduce the risks and costs associated with replacing equipment, and ensure that no CFC’s are leaked out into the environment. The Refrigerant Buyback program is part of a reclamation movement that is geared towards the responsible handling of CFC refrigerants. This is done through the reclamation, containment, and destruction of CFC refrigerants, as regulated by the U.S. Environmental Protection Agency (EPA). Typically, reclamation is only done in reprocessing facilities that are licensed by the EPA under stringent standards. We can help you transition smoothly from regulated refrigerants and mitigate costs by offering the Level One HVAC Buyback Program. 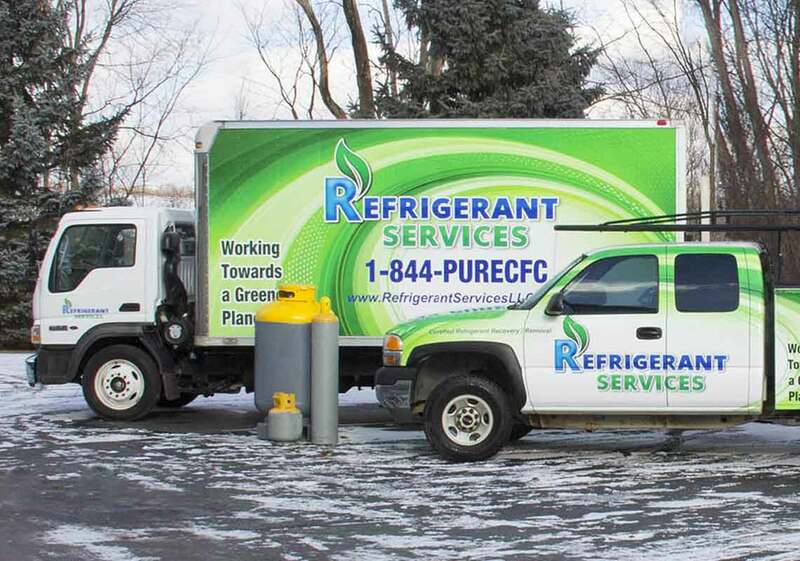 We offer the best value for recovered refrigerants – such as R-22 and R-12 – in all of Michigan. We offer high reimbursement rates, quick payments, EPA documentation, and a detailed report of the purity and weight of the reclaimed refrigerant so that customers can be properly compensated for the recovered refrigerant. We also buy all refrigerants used or even burnt. If you require new refrigerant we can ship direct including R-1234. Our Buyback Program caters to a wide variety of projects, from single residential to huge multiple commercial systems. We accept cash, credit, and even exchanges – the choice is entirely up to you. We provide on-site refrigerant recovery services for the convenience of our customers. First off, we bring recovery cylinders straight to your refrigeration system in order to gather and store the refrigerant in a safe manner. The cylinders are then brought over to our independent laboratories, which have the fractional column distillation equipment needed to achieve maximum separation of the reclaimed refrigerant from its contaminants. This allows us to achieve the highest purity levels, which we can properly process to meet the specifications of ozone-safe refrigerants. We then send detailed purity and volume reports to our customers so that they can get compensated for 100% of the net recovered refrigerant. All contaminants are disposed of safely and free of charge. If you’re interested in participating in our Refrigerant Buyback Program, contact Level One HVAC Services today. If you want to know how much your refrigerant is worth, simply request a free quote on our website. Schedule your next appointment through our on-line contact form.